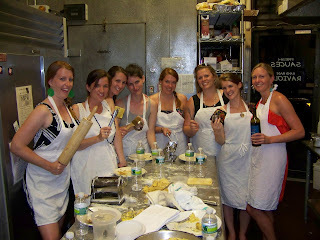 I went up to Boston a few weeks ago for a friends Bridal Shower and Bachelorette party. 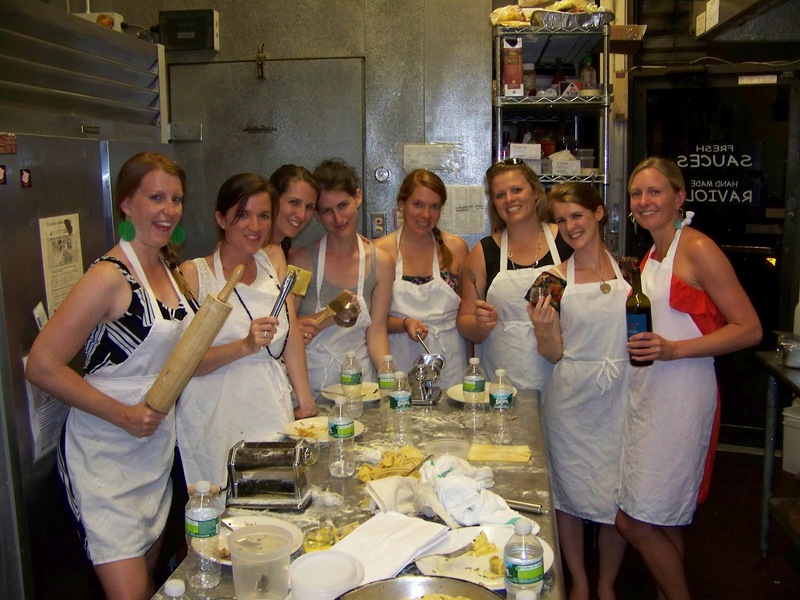 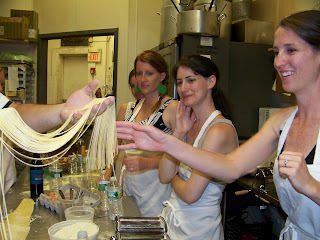 Part of the party was a cooking class at Dave's Fresh Pasta in Davis Square which was amazing. We learned how to make Pasta all’ Uova which sounds super fancy but turns out it is just flour, eggs and a little bit of salt. 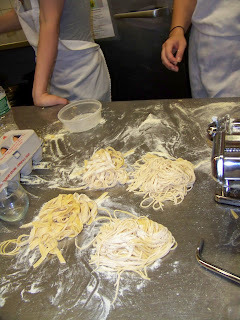 We learned how to knead the dough until it is the right consistency and then we used a pasta roller to make spaghetti and fettucini. We also were taught how to make ravioli and tortellini. 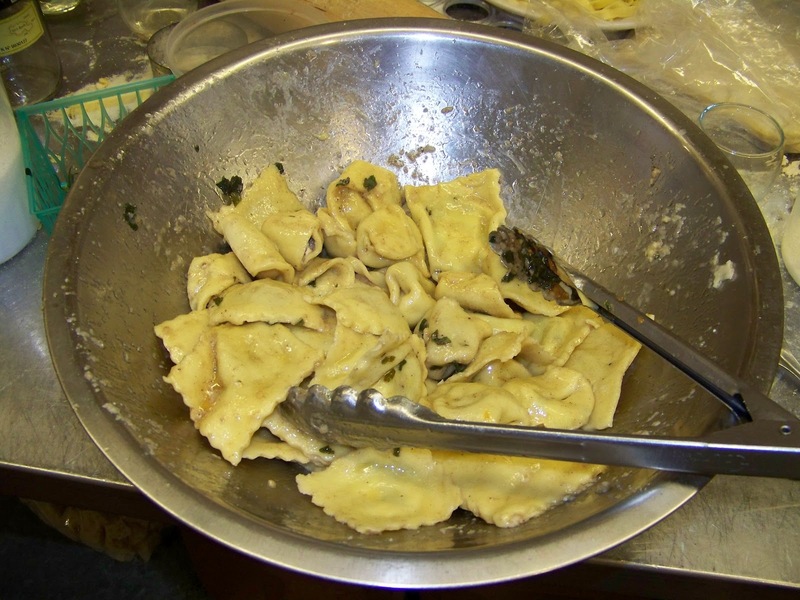 Years ago Nate and I tried to make ravioli and it was a huge mess. We never really knew what went wrong until I took this class. 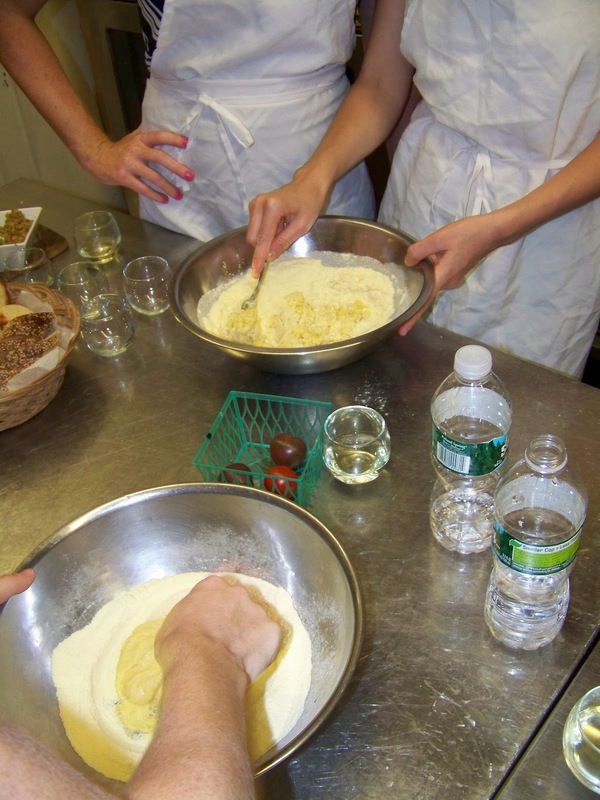 The trick is, you only egg wash one side of your dough. Egg sticks to dough but egg doesn't stick to egg (you can guess what we did). 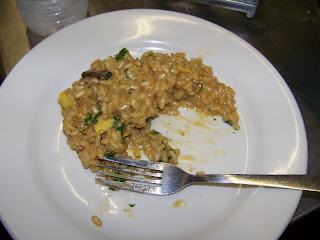 While I couldn't actually consume anything that we made, Dave's Fresh Pasta was very accommodating and our instructor whipped up this amazing risotto while he was teaching us everything else... like it was no big deal. We made so much pasta and we had so much risotto that we ended up bringing so much of it home that we got to share the creations with a bunch of people at a brunch the next day. 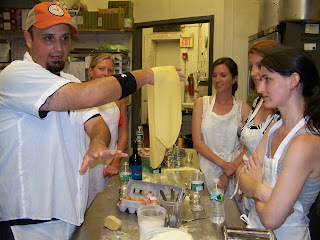 It was a really great class and a great group activity. 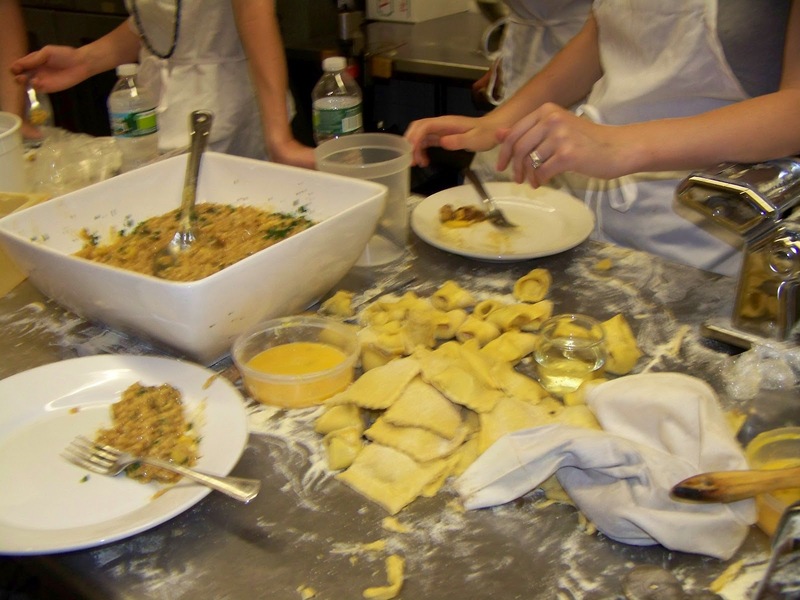 I had never taken a cooking class before and I would highly recommend it if you haven't either. 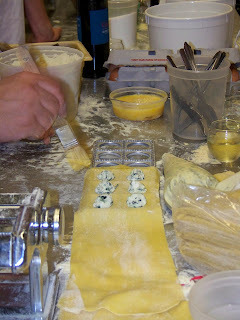 We had so much fun and it was a great way to kick off a fun evening.